Tell Abu el-Kharaz, “the mound of the father of the beads,” is one of the most important Bronze and Iron Age sites in the central Jordan Valley. It is situated in the Gilead region, just north of Wadi Yabis, about 4 km east of the Jordan River and 6 km south of Pella. It measures 25 a. at its base and 3.7 a. at its flat summit. The finds from its various settlement periods reflect wealthy societies with far-reaching contacts. It may be identified with biblical Jabesh-gilead, which is cited frequently in relation to events connected with the battles of Kings Saul and David against the Philistines and Ammonites. 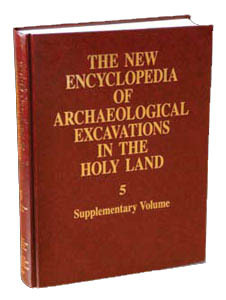 Following a survey, excavations at Tell Abu el-Kharaz began in 1989 under the direction of P. M. Fischer of the University of Gothenburg, Sweden. Ten seasons have been conducted up to 2005. The oldest phases with architecture (phases I–III) date to the Early Bronze Age IB–II, or c. 3200–2900 BCE, as indicated by radiocarbon tests. The city was surrounded by a massive city wall of stone with superstructures of mud bricks and wood. It suffered from a number of earthquakes, repeatedly being destroyed and rebuilt. Well-preserved domestic buildings with complete pottery assemblages, copper weapons and tools, and jewelry were found. Rare organic finds include the remains of a wooden loom with the loom weights in situ, and a basket of organic fibers filled with grain. Other finds are Egyptian from the Predynastic Naqada IIlb/c cultural sphere, exemplified by cylindrical jars and mace heads. Metallic ware (formerly known as “Abydos ware”) was imported from southern Lebanon, according to petrography.